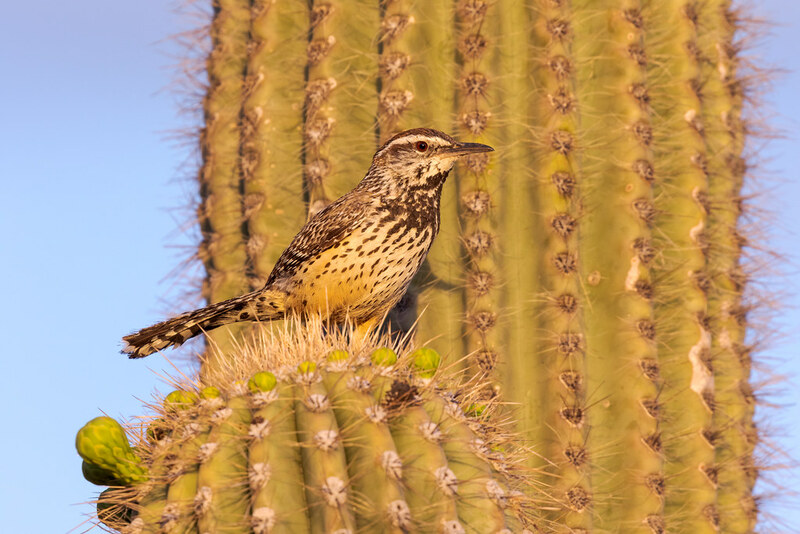 I’m used to wrens being tiny little birds so I was caught off guard by the size of the cactus wren, here perching on a saguaro in the early morning light. Thankfully they are both common and gregarious as they are a delight to watch as they move about the desert. This entry was posted in Birds and tagged Arizona, Brown's Ranch, cactus, cactus wren, desert, McDowell Sonoran Preserve, perching, saguaro, Scottsdale, Sonoran Desert. Bookmark the permalink.